For almost 20 years, New Yorkers have trusted Divine Moving & Storage to take care of all of their New York City moving and relocation needs. As the city’s premier storage and moving company, Divine is experienced and knowledgeable about all residential, commercial, and corporate relocation needs. Whether you’re moving down the street in New York City, relocating across the bridge, moving between boroughs, or elsewhere in the tri-state area, Divine’s professional teams of local movers NYC are thoroughly trained to make sure that this will be the easiest move you’ve ever had. Local movers NYC proudly recommends and continuously hires – Divine Moving and Storage. Short-term (daily or monthly storage) & long-term storage solutions. Divine is like New York City’s wedding planner for moving & storage. As a full-service licensed and insured local moving company with almost two decades in the business, our experience allows us to provide New Yorkers with easy and stress-free relocations, whether they’re moving an entire home or a single item around Manhattan, Brooklyn, Queens, Staten Island, the Bronx or beyond. Divine Moving & Storage ensures our clients never have to lift a finger, which means we’ll expertly pack all of your belongings–from clothing and dishes to artwork and furnishings. And then we transport them to your new home or office and then beautifully unpack all boxes to provide you with a turnkey experience. 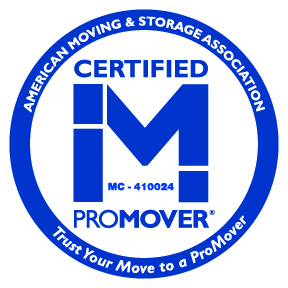 Our local movers NYC are AMSA-certified ProMoving experts. By making moving a one-stop shopping experience for our clients in New York, Connecticut, and New Jersey and delivering best-in-class service, quality, and efficiency, Divine has built our reputation on stress-free relocations for our grateful residential, commercial, and corporate clients. We move offices, relocate stores and commercial spaces. And we help our corporate partners settle new hires every day and in every type of building. Not even 5th-floor walk-ups can scare your Divine movers! We care about our employees and never cut corners when it comes to their acquisition of knowledge. This is why we invest in their training and certification. This is all part of our goal to follow modern trends within the moving industry. By doing so, we can invest in new technologies that can not only make our job easier but also ensure a safer relocation for our customers – you. You can relax and be sure that our local movers NYC will never let you down. And waste removal, to name a few services these local movers NYC provide. We know that your belongings and your home are important to you, and so they’re important to us. So, we take the time to protect surfaces in your home, walls, and flooring. We even have door protectors to ensure we leave your home in the same condition we found it (or better!). Our courteous and certified Divine packers and movers are professionally trained in-house by our senior staff. Plus, they come to us already having years of moving knowledge under their belts. With years of experience in packing, moving, and unpacking homes, offices, business (from galleries to retail and more!) in NYC, our local movers NYC know how to get the job done efficiently and without problems, hassle, or stress–the first time. Divine’s moving teams arrive at your home, office, or business in NYC with all the necessary supplies to make moving an easy and hassle-free experience. With affordable flat rate pricing, our all-inclusive moves mean you’ll never pay a dollar more than we quote you during your estimate. That means you’ll never have hidden fees or charges for tolls, gas, or other ‘surprises’ that some New York City moving companies try to sneak by you. When we say all-inclusive, we mean just that! Divine’s professionally trained and experienced movers will wrap all furniture with special professional-grade moving blankets in order to protect your belongings–at no additional charge. We typically pack televisions, large pictures and any fragile items—such as mirrors or fine art. Basically, items that you cannot pack or do not feel comfortable packing yourself. In case you need us to help you finish packing (or even do all of the packing for you), there’s nothing to worry about. We always carry a complete stock of moving materials on all of our trucks. We also include simple furniture disassembly and reassembly at no additional fee. That’s New York City moving made simple! In need of moving insurance? We have you covered! As a fully licensed, bonded, accredited, and insured moving company, Divine includes building insurance at no additional cost to our clients. And when moving in Manhattan, that means we’ll be coordinating with your building management. Why? To provide insurance & necessary paperwork, reserve elevators, and notify the appropriate channels to make sure that everything goes off without a hitch. So why move the hard way when you can move the Divine way? Our superior customer service means you can call, email, or text us day and night. We believe part of a successful move in New York City is careful project management and dutiful communication during the planning process. Our local movers NYC have even been featured in Businessweek and New York Daily for our outstanding service. Divine Moving Company offers an affordable local NYC moving service that is both hassle-free and stress-free. As the most trusted local movers NYC, our professional moving company prides itself on providing comfortable and safe transitions to new homes and apartments. If you are considering a local move in NYC, we are the ones to contact. Our comprehensive yet affordable flat rate local moving service is a perfect match for your budget. Our staff of professional local movers NYC takes pride in providing you a superior first-class local moving experience. By working with customers one on one, we add a personal touch to our NYC moving service that ensures the satisfaction of all our customers. At Divine Moving & Storage, we have built our reputation on providing professional customized local moving services with affordable prices in New York City. Our inexpensive local NYC moving company takes the time to assess possible cost-reducing measures to make sure that our flat rate estimate reflects the best possible price for your move in NYC. With superior service and affordable prices, Divine Moving gives you peace of mind knowing that your professional movers are both excellent and experienced. We are more than just an affordable local moving service in New York City–we are a company that cares about you. Life in the Big Apple can be chaotic, and sometimes even more chaotic than you might prefer. Time is money and why should you waste either with local movers NYC you can’t rely on? Our team of moving professionals always has that in mind. However, doing something as fast as possible doesn’t always imply doing it right. That is why, in addition to sticking to the deadlines you provide us with, we make sure that the service we provide exceeds other expectations as well. Our team ensures that the quality of your moving experience and the efficiency of the work we do are at the same level. This is not something you can expect from local moving companies NYC, but it is typical for our standards. We are firm believers in customer service and satisfaction, which is why we commit to fulfilling both. This is our way of building long-term partnerships and transferring our positive energy and confidence to our clients. That is what makes us Divine and separates us from other moving companies in New York City. It’s a pleasure to work with people who share the same values as us. That is why we care so much about the satisfaction of our clients and are willing to do anything to ensure it. Nervous and stressed out about your approaching local relocation? You don’t have to be. Call Divine Moving & Storage and we’ll give you a free flat-rate all-inclusive estimate for the easiest and most affordable local move you’ll ever have. Your belongings are protected and handled with the utmost care by our local movers NYC. All relocations are insured and we are a fully licensed and insured company, seasoned by 16 years of experience in the moving industry. You can always rely on the Divine intervention of our local movers NYC. Our local movers NYC are capable of finding the best route from one destination to the other. As locals, we know every street and corner in New York City. You want moving companies that have covered certain routes once or twice already. Divine moving crews do these routes on a daily basis. That is why we always make sure that we choose the best possible routes for our customers. People that relocate for the first time usually don’t know what they’re up against. Our local moving company NYC also conducts long distance moves within the Tri-State area and beyond. And we are also able to provide our customers with diverse moving tips and tricks to make your relocation much easier. So, you can rest assured that your local moving experience is in good hands – ours. Our local moving company NYC thrives on your satisfaction, exceeding expectations to give you a stress-free relocation. Our NYC professional movers guarantee superior service for prices that can’t be beaten! Divine Moving & Storage thrives on referrals and returning clients. And we can only get them if we provide consistently superior, stress-free, and affordable local moving service in New York City. With us, you will find your move to be simple and worry-free. Our NYC moving company does well only if you are completely satisfied with your local movers NYC. Our local moving professionals NYC are standing by to assist you with your New York City move. Give Divine Moving Company a call or send us an email and our NYC relocation specialist will give you a free quote for your local New York City relocation. Let us help you make your move in NYC as comfortable and hassle-free as possible. With our help, all you will need to worry about is what you’re going to do with all that time you saved by choosing New York City’s best and most affordable moving company. So sit back and relax– You’ve never had a local moving experience like this before. Give Divine Moving Company a call for a free flat-rate estimate for your next local move in NYC.